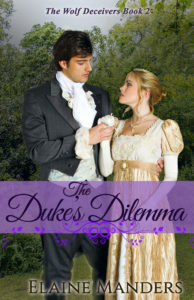 My Thoughts "The Duke's Dilemma" is the 2nd book in the "Wolf Deceivers" series. I read the first one before reading this one, but there is no connection between the books. They truly are stand alone books being in different eras and locations. This book, though set in the Regency period, is relevant to issues today with it dealing with human trafficking and girls pressed into serving in brothels. It was handled tastefully without mention of what takes place in such places (it calls it torment or vile acts). I found the book to be well written and kept me reading to find out what was going to happen. I never expected the twists that came. I liked Edward and his gentle way with Cassandra. Sarah and her matchmaking was cute. The only books of Elaine Manders that I've read were the two books in this series, but I will be reading more of her books in the future. 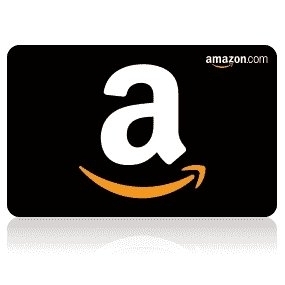 I got a free copy of this book to participate in the blog tour. All thoughts and opinions are my own and given voluntarily. No compensation was received. Have you read CHANGE OF HEART and GRACE’S FORGIVENESS? 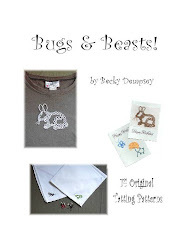 The first two books in the Keepsake Pocket Quilt Series? They are available in bookstores and online. 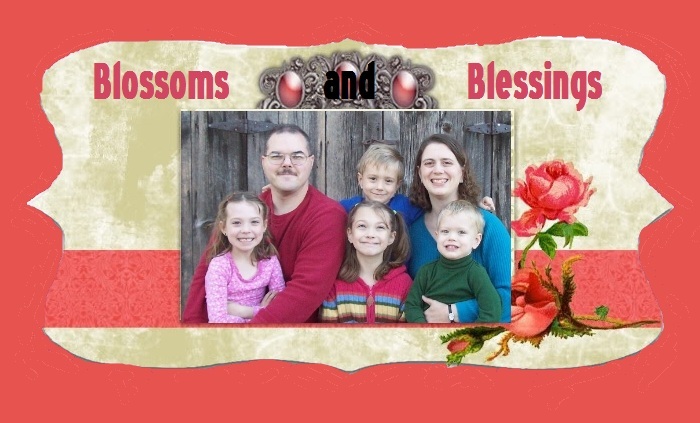 Elisabeth Allen gave her heart to Jesus as a little girl and to Drew Marek as a teenager. When their wedding day finally arrives, it’s the happiest day of her life–until a car bomb transforms her dream come true into a living nightmare. As Best Man at the wedding, Gabriel Di Salvo promises Drew–his best friend and CIA partner–he’ll look after Elisabeth, but he never dreams it will become necessary so soon. As Elisabeth struggles to put the pieces of her life back together without Drew, Gabe becomes her rock, and as they share their grief and begin to heal, their friendship gradually deepens into something more. Three years later, Gabe and Elisabeth are planning a future together when he receives a shocking call from the one man who can upend his happiness: Drew. Suspecting someone at the CIA is behind his abduction, Drew refuses to come home. Instead, he asks Gabe to bring Elisabeth to him. Now Gabe just has to figure out how to let her go. 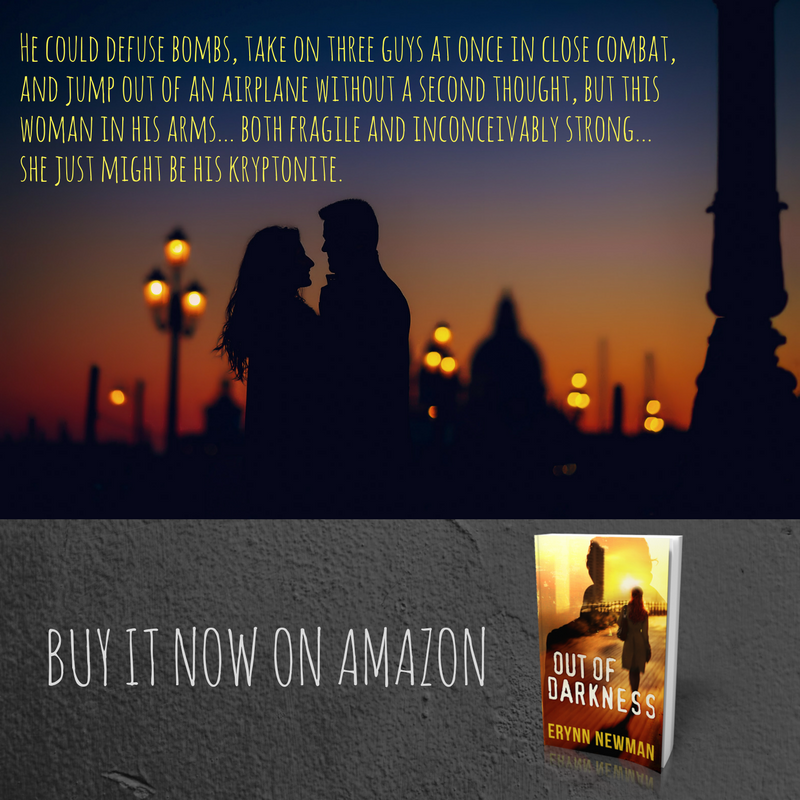 Drew and Elisabeth race across Europe, dodging international arms dealers and attempting to reclaim what was stolen from them. But years of captivity and torture have left their mark on Drew. He is no longer the same boy Elisabeth fell in love with, but he is still her husband, and she’s determined to build something new and leave her relationship with Gabe in the past, if her heart will get the memo. When their enemies close in and the threat of a terrorist attack escalates, Gabe may be the only person they can trust. Drew, Elisabeth, and Gabe are thrown into a fight for their lives–one that will test their loyalties to God, country . . . and each other. 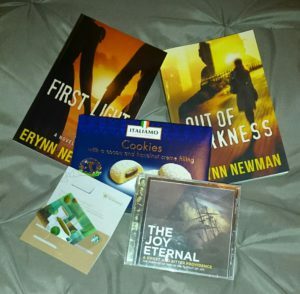 I recommend reading "First Light" the prequel novella to "Out of Darkness" first as it gives the backstory to Drew and Elizabeth's love story. Even though I knew that Drew was still alive, there were still several times that I cried. I felt bad for Gabe that he had to give Elizabeth up and part of me wished they could end up together, which was odd as I was glad that Elizabeth and Drew got to be together again, too! I liked the gospel message portrayed in the story. I found the book to be well written and kept me guessing as to what was going on. 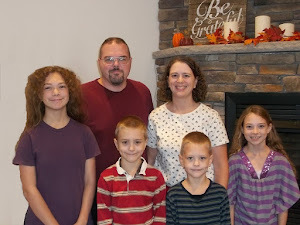 Erynn Newman is a pastor’s kid, raised in churches all over the Eastern Seaboard. 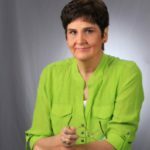 Since earning her degree in Christian Studies, she has traveled the world and served as a missionary, a counselor, an ESL teacher, and a nanny. Though she has never worked with the CIA, her DVR contains a veritable Who’s Who of international spies. 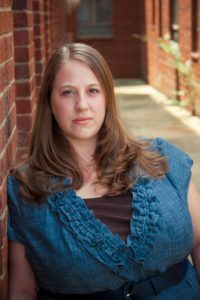 She is a Carolina girl, a wife, and Mama to a very busy little boy, two cats, and a gaggle of characters that live inside her head. I write novels while the rest of the house sleeps. That’s also when I do most of my editing work and social media stalking. During the day, I get to hang out with an awesome 4-year-old who is the reason I get up in the morning (both because he’s my heart and because he’s staring into my soul asking me to make pancakes). I don’t like wine or coffee. My writer fuel is partially frozen Cherry Pepsi. It took me a long time to realize I was a writer. I thought that everyone made up imaginary people and back stories for them and imagined the lives they lived and sometimes talked to them in traffic. Turns out no. Fortunately other writers found me and helped me figure it out. My greatest nemeses are also my greatest inspirations. Facebook and Netflix. Finding the balance of hanging out with other writers and readers and being inspired by great story telling and actually doing the work is the hardest thing for me. I am obsessed with casting characters. Finding the perfect actor/actress or model who embodies my characters is one of my favorite parts of the process. I also do this for every single book I read. So, of course now you want to know who I chose for Drew, Elisabeth, and Gabe. I’m glad you asked. Drew is based on Matt Bomer’s portrayal of Bryce Larkin in the show Chuck (there are quite a few nods to this show hidden throughout Out of Darkness). Elisabeth is partially based on a character from a show I watched when I was in college (also a waitress and artist), but she looks like this model. 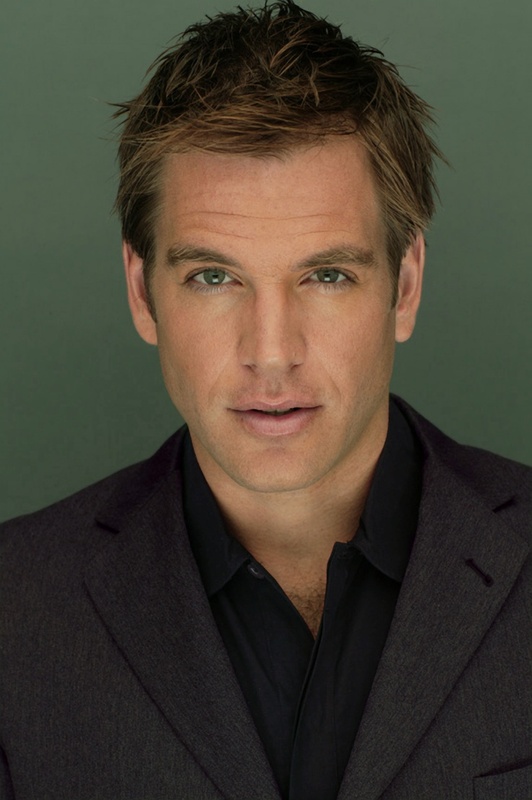 Gabe is based not that loosely on (young) Anthony DiNozzo from NCIS. Our house has a really great office with a nice desk and comfortable chair that looks out on our wooded back yard. But I work almost exclusively while sitting on the couch with my laptop propped up on the back of it. My uniform is yoga pants and an old t-shirt. The author life is G.L.A.M.O.R.O.U.S. I got my start writing fan fiction. Most of it has been obliterated from the interwebs, but there may still be a few Star Wars stories floating around out there (I owe this to my love for Ewan MacGregor and my hatred of Annakin Skywalker). Fan fiction is also the way I found my very first critique group. And our leader, Susan Kaye Quinn, best-selling author and real life rocket scientist, helped me realize I could be a real author. And later she taught me how to publish. I want to be her when I grow up. Speaking of fan fiction, the original idea for Out of Darkness was a fan fiction based on that character from that show I talked about above. The waitress/artist who lost her first love and then fell for someone else. And then when her love returned, he was… recast. And terrible. And she forgot who she was and made every wrong decision. And everyone was miserable ever after. And I was like, what even IS this show?!?! So I started writing my version of how it should have gone. But then a surprising thing happened. My characters took on lives of their own, and I fell in love with ALL of them, and I knew I had to tell their story. So I started creating a different back story for them (and I introduced them to Jesus), and then they became their own characters and started telling me what to do. And I’m a little insane now, but I’m not even mad because I love what this story has turned into (and turned ME into). I started writing Out of Darkness in its earliest form in 2006. I stopped and restarted several times. I wrote other things that may or may not ever see the light of day. I learned that I was writing all wrong, and I ripped it apart, started over and stitched it back together piece by piece. In fact, my original chapter one is now chapter FOURTEEN. And all of that is after the first fifty pages that now comprise First Light, the prequel novelette that tells the story of how Drew and Elisabeth met and fell in love. Of all the exotic locations mentioned in Out of Darkness: Venice, Italy; Paris, France; Cordoba, Spain; Trim, Ireland; and even Washington, D.C. and Baltimore, Maryland, I have been to two—Baltimore and Paris. Google Maps Street View and Wikipedia are an author’s best friends. Music inspires me to write, but I can’t write to music. I often hear a song that makes me think of a scene or helps me get the emotion right. And I add those to my play list, but when I write, I prefer quiet (or instrumental music). I want the Gospel to be front and center in every story I write (including my own), but there were two scenes in particular that I really felt like the Holy Spirit guided me in writing. One is when Drew finds his Bible in the backpack Gabe packed for them, and the other is Gabe’s argument with God when he decides to let Elisabeth go. In both instances, I feel like God really led me to the right Scriptures and gave me the words in a way I didn’t experience with any other scenes. The hardest scenes were all of the ones with Drew and the gas. Both because I don’t like to torture my characters (contrary to what you may believe) and because the science behind the weapon is way above my head. I worked with a couple of microbiologists to get it at least to plausible/possible, but I’m sure there are still some issues with my science there. I cried several times while writing this book. Elisabeth and I grieve much the same way, so I saw a lot of myself in her moments crying out to God—especially in the ones where she just wanted to feel Him and couldn’t. I cried when Drew fell apart reading his Bible, and I cried at the end when I wasn’t sure who would live or die. A few scenes didn’t make it into the final book. Two of them are in the outtakes section of my website, but don’t read those until after you’ve read the book. Seriously. 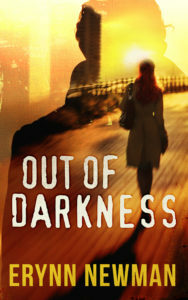 After being told by one agent that Out of Darkness would never sell because it didn’t fit neatly into a genre category, I signed with my current agent in 2012, and we submitted it to several publishers. I received lots of compliments on my writing, but ultimately, people didn’t seem to like the fact that both of my leading men were good guys, and there was no one to root against. One even suggested that I make Gabe complicit in Drew’s abduction. And one suggested I kill Drew (again!) so Elisabeth and Gabe could end up together. Both interesting ideas, but neither were the story I wanted to tell. In the end, I decided to indie publish, which has been really challenging, but I’m so happy with the way everything turned out. We all got the ending we were supposed to have. Speaking of endings, the one in the final version is very different from the original. I’ll try not to be too spoilery, but let’s just say that the original ending was far less happy, but I felt like it was the only way out. One of my characters made a choice that I couldn’t see any way around. And I thought that a happy ending would be too fake. I didn’t want to tie everything up with a pretty pink bow and say “they all lived happily ever after,” because after everything they’d been through, that wouldn’t be real life. But a very good friend of mine convinced me that I could instead tie everything up with a frayed knot. It’s still messy and difficult and a little raw, but I think it’s real… and full of hope and possibility. So what’s next, you ask? There’s more to explore here perhaps, but I honestly don’t know what comes next for these characters. That’s something I’m still thinking about. The story I’m working on right now also begins in D.C. but takes place mostly in the Pacific Northwest. It’s the story of an ex Army Ranger who has to protect his three little brothers when the youngest witnesses their parents’ murder. And there may also be a girl involved.